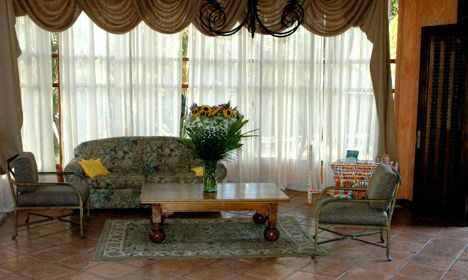 Vivian Palace is elegant and cozy hotel situated in the most posh and upscale areas of San Jose – Escazu, just 20 minutes from the Juan Santamaria international airport. Escazu is a quiet, beautiful and secure suburb with all the comforts and trimmings of modernity. The small size of the hotel enables our friendly staff to pay individual attention to every guest, assuring high quality service with a personal approach. Our motto is “homey”, because we put a significant effort in making each guest feel at home. 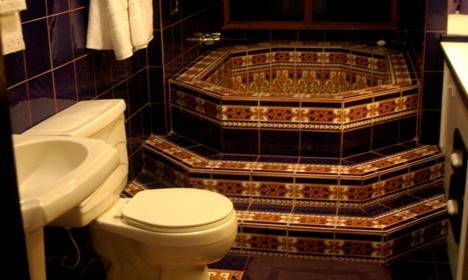 multi-channel TV, telephone, WI-FI, fridge, safe-deposit box, en-suite bathroom with either shower or Jacuzzi, outhouse Jacuzzi. Coffee and tea facilities are available. Single: Nice and cozy mountain view bedroom with private shower for one person. Wi Fi free of charge. Twin: Comfortable bedroom for 2 people with 2 single beds, private shower and mountain view. Wi Fi free of charge. Double: Mountain view bedroom with queen size bed and private shower. Wi Fi free of charge. 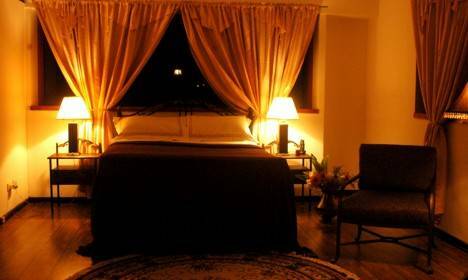 Double Superior: Cozy mountain view room with queen size bed and private jacuzzi. Wi Fi free of charge. Payments have to be made 15 days before check-in date. If we have not received the payment 10 days before arrival, we will charge an extra 5% of the total amount. A reservation made in less than 15 days before arrival must be paid 2 days after the reservation is confirmed. IMPORTANT: Cancellations with less than a 15 days notice will be charged 100% of the total stay. This elegant and cozy hotel is situated in the most posh and upscale area of San Jose – Escazu, just 20 minutes from the Juan Santamaria international airport. It is an ideal place to use as a base camp when touring the rest of the country. Transfer from / to airport 10 $ one way. Nearest airport: 20 minutes from the Juan Santamaria international airport.